Casinos have been around for many years, dating way back to the 17th-century in fact, and they will, in one form or another, almost certainly be around for many more years to come. The gambling industry has done well at moving with the times, and while you can still play in the traditional brick and mortar casinos, you can also now play at online casinos by using your desktop, your tablet or your phone. Not only can you play the slots and games, but these days you can even play LIVE DEALER casino games — indeed, no UK casino is complete without at least offering live dealer Blackjack, live dealer Roulette and live dealer Baccarat. Read on and you’ll learn why. What are live dealer online casino games? Live dealer online casino games are played online in real time with a real person dealing out the cards. They are streamed live from either a purpose built studio or from an actual land based casino. Each online casino has a slightly different interface, but at all online casinos while playing a live dealer game, you will have a webcast of the dealer and the table as they deal the cards, roll the dice or spin the wheel as the case may be. Optical Character Recognition enables the live game to be translated into data, which you’re able to see on your computer screen in the form of bet options and instructions. Live dealer online casino games have been around for about ten years now, and they continue to grow in popularity. Part of their appeal is that, unlike the virtual casino games, live dealer games remove the possibility of the game being rigged. Many people are distrustful of the Randon Number Generated games for the same reason some people never choose the lucky dip on the national lottery. With live dealer casino games, you have the advantage of actually seeing the dealer deal out the cards, roll the dice or spin the Roulette wheel. 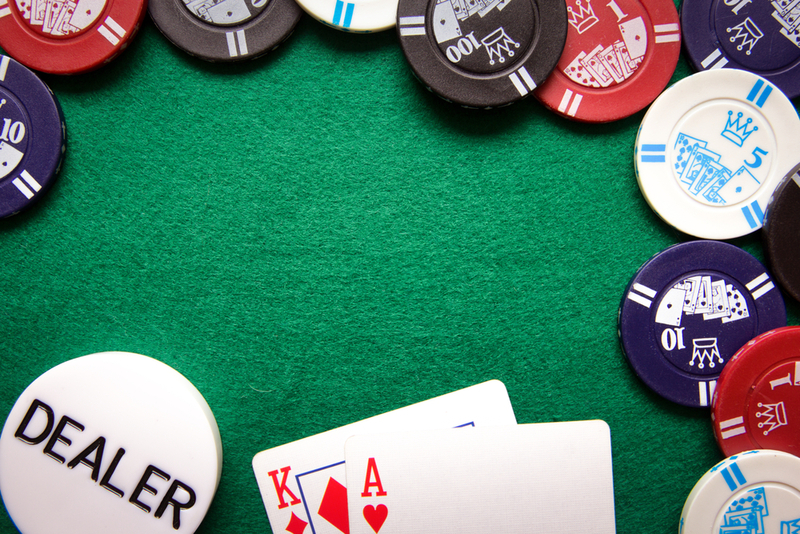 Another reason for the growth in the popularity of live dealer casinos is because they are undoubtedly more exciting compared to RNG casino games. You are playing in real time with other real people and a real life croupier — it’s all the glitz and glamour of a brick and mortar casino, from the comfort of your own home. In many online casinos, you can even chat with the dealer. There is something thrilling about participating in a live experience with others, rather than playing by yourself against a computer. It’s why we love live TV and live sporting events. Nothing can replace a shared experience. Unlike virtual games, live dealer casino games require much more investment by the online casino. For one thing, the technology required is more expensive. Then there are the studio and equipment costs, and of course staffing costs. And so unlike the hundreds of virtual games that many casinos offer, live dealer games are more limited, but as I mentioned earlier their popularity is growing fast and so we can expect to see more options come onto the UK market soon, such as more live dealer casinos offering live dealer Sic Bo, and other lower skilled games. By far the most popular live dealer casino games available right now are live dealer Blackjack, live dealer Roulette, and live dealer Baccarat. There are many different rules and deal types available in these games at online casinos — even more so than at land based casinos, and more bonuses and promotions on offer. For example, some online casinos offer live dealer Blackjack with an unlimited number of players allowed to participate. Live dealer casinos are definitely not going anywhere. Not only are people playing live dealer casino games on their desktops, but in fact, even more people are playing on their smartphones. This has been made possible with the many advancements in digital technology, and so who can predict where this progress will lead? Casinos are already working on delivering the live dealer experience onto virtual headsets. The future of live dealer casinos looks very exciting indeed!